Auggie wants to be an ordinary ten-years-old. He does ordinary things - eating ice cream, playing on his Xbox. He feels ordinary - inside. But Auggie is far from ordinary. Ordinary kids don't make other ordinary kids run away screaming in playgrounds. Ordinary kids aren't stared ... read full description below. 'My name is August. I won't describe what I look like. Whatever you're thinking, it's probably worse'. Auggie wants to be an ordinary ten-years-old. He does ordinary things - eating ice cream, playing on his Xbox. He feels ordinary - inside. But Auggie is far from ordinary. Ordinary kids don't make other ordinary kids run away screaming in playgrounds. Ordinary kids aren't stared at wherever they go. Born with a terrible facial abnormality, Auggie has been home-schooled by his parents his whole life, to protect him from the cruelty of the outside world. Now, for the first time, he's being sent to a real school - and he's dreading it. All he wants is to be accepted - but can he convince his new classmates that he's just like them, underneath it all? 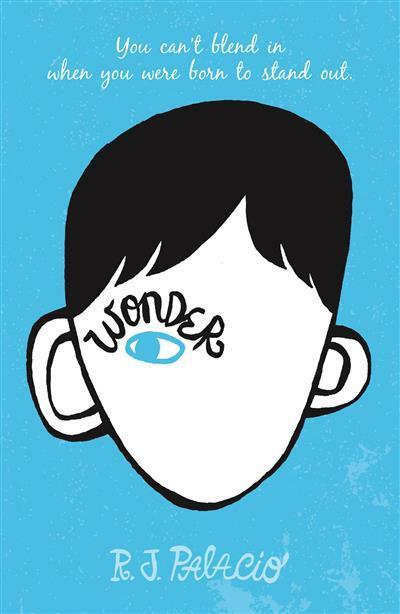 Narrated by Auggie and the people are around him whose lives he touches forever, Wonder is a funny, frank, astonishingly moving debut to read in one sitting, pass on to others, and remember long after the final page. R. J. Palacio lives in Brooklyn, NY with her husband, two sons and two dogs (Bear and Beau). Her debut novel, Wonder, has been on the New York Times bestseller list since March, 2012, and has sold over 14 million copies worldwide. The book's message of kindness has inspired the Choose Kind movement, and has been embraced by readers, young and old, around the world.